Three-quarters of retailers have experienced at least one data breach in the past, with more than half seeing a breach in the past year alone. As one of the most attacked industries today, it is essential to protect your business, partners and customers from cyber threats. Businesses often fail to realize they’ve experienced a breach until their customer’s, client’s, or their own private business data has already been compromised. Using B2C portals, attackers can access increasingly vulnerable PII and even make fraudulent transactions. Hackers are able to exploit poorly configured software and susceptible end users and withhold valuable data until a ransom is paid. Hackers are able to exploit online transactions and expose confidential data such as passwords, bank account details and more. Many retailers have embraced the digital transformation, but most haven’t found an easy-to-use security platform that doesn’t break the budget. 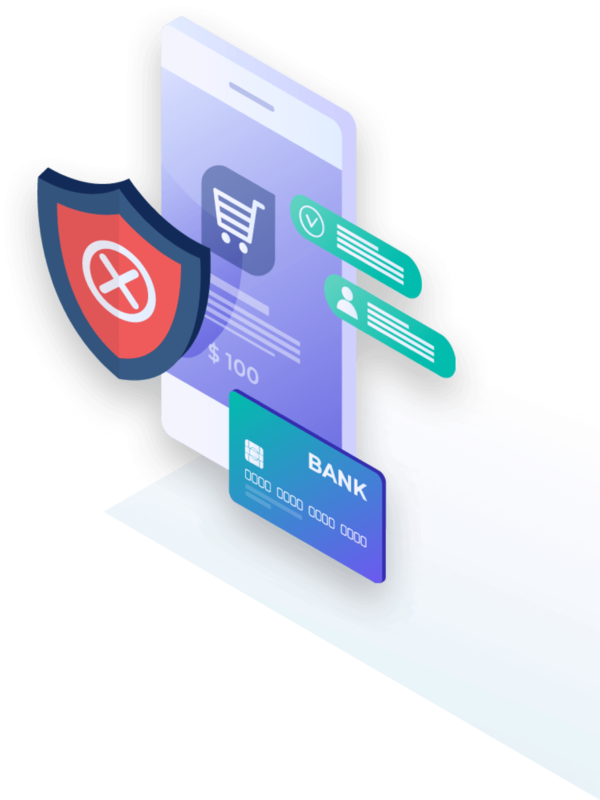 Retailers can address their cybersecurity gaps with a cost-effective and easy-to-use security solution that allows your business to operate more efficiently and securely. Regardless of new apps, microservices and other emerging technologies, retail cybersecurity must always adhere to the General Data Protection Regulation (GDPR) and meet other strict compliance standards. With Perimeter 81’s secure network access solution, you can easily meet even the most strict compliance regulations. Manual configuration changes to existing firewalls, policies and endpoints, requires continuous updates to multiple systems. With Perimeter 81’s unified cloud management portal, IT administrators can easily create, deploy, and destroy access, servers, and group roles in minutes. Many organizations are struggling to secure increasing endpoints into the network while maintaining growing user access. Perimeter 81 allows IT administrators to implement user permissions according to groups of similar access. This makes segmenting data according to sensitivity easy, keeping your most vital resources safe and secure from cyber threats. As organizations adopt more and more security tools, the number of management consoles, reports and security alerts leave teams frustrated. Our detailed activity reports allow you to manage, monitor and analyze network changes in real time so that you can keep track of your entire network all in one place. Security in cloud environments differ, which is why it’s important to find a flexible solution that is fully capable of securing both on-premise and remote connections to your in-house and cloud resources. Our highly scalable solution offers limitless flexibility to your network, regardless of which environments you’re securing access to. Legacy antivirus solutions are no longer capable of protecting your network against targeted attacks. That’s where we come in. Trusted connectivity is managed using Active Directory in the data center, and 2FA provides an additional layer of security for customer accounts. Fine tune auditing of network activity combined with anomaly detection safeguard sensitive data. Between the data center and public cloud is either via IPSec or MPLS (or SD-WAN). Strict partitions and role-based access allows organizations to create smaller data centers within public cloud environments. Ensures only users controlled by the organization have valid users access to protected applications. With our unique API integration, secure whitelisted access to Amazon AWS, Microsoft Azure, Google Cloud and more -automatically. With Perimeter 81, retailers can build a strong defense system by providing real-time visibility into the network allowing IT to identify and mitigate cyber threats before they become a breach. Learn how Perimeter 81’s secure network access solution can provide sophisticated, yet easy-to-use network security for your entire team.